In 2006 Google’s acquired YouTube for $1.65 billion, and Facebook acquired Instagram for $1 billion in 2012. Many dismissed these purchases as indulgences of cash-rich tech behemoths, and federal regulators took no action. But, these acquisitions were far from frivolous. They shut out potential competitors, strengthening Google’s market dominance in search and Facebook’s in social media. And, now Microsoft’s $7.5 billion acquisition of GitHub repeats the pattern. GitHub is a software company that few people have ever heard of, but on which programmers, developers, and techies depend. The price tag, which is approximately 30 times GitHub’s annual recurring revenue, suggests that something other than GitHub’s profitability motivates Microsoft acquisition. Indeed, we think than Microsoft could use the personal information and information about software development on GitHub gain even greater dominance of the software industry. That’s why we started SaveGitHub.com to urge regulators to take a closer look at this deal and impose some conditions to protect consumers and the industry. Why is Microsoft not yesterday’s news? Many people think of Microsoft’s monopoly power as yesterday’s news. Yet while Google, Facebook, Amazon, and Apple have taken over their own niches–Microsoft rivals them all in its overall market capital–currently valued at over $800 billion with a portfolio including Office, Windows, Outlook, LinkedIn, Skype, and Azure’s Cloud services. Microsoft merges its data from all of these platforms for everything to AI to advertising. While this can help create more efficient products, it also makes it harder for anyone else to compete, particularly in the software market. When programmers and developers create software, theyneed some place to store the code which project members can access as well as some way of tracking changed—or a distributed version control system, to use the lingo. GitHub is the dominant open source platform that provides a repository and version control systems used by programmers to store code and collaborate on projects. What problems could this deal cause? 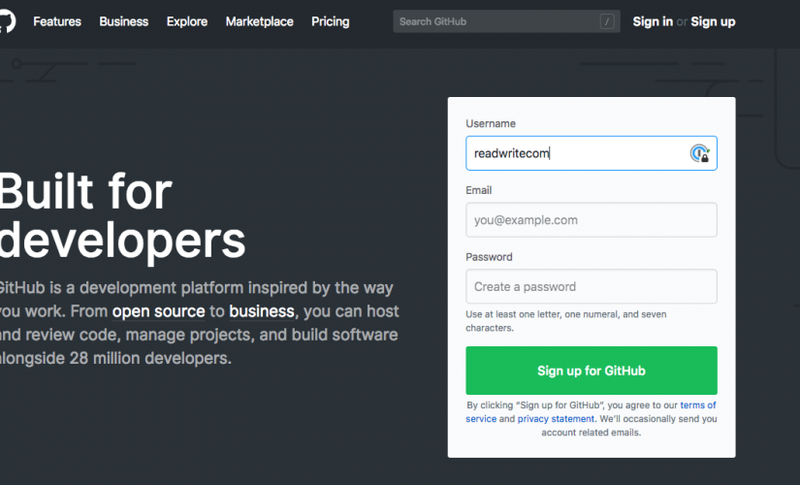 GitHub has emerged as the industry platform for version project members. Everyone in the software industry uses, including Microsoft’s competitors. It, has emerged as an unofficial social network for the programming community, with personal information creating an indelible record of the world’s top developers work histories and products. Control of GitHub grants insight into how the entire programming world trends—as well as individuals and entities shaping the trending. Thus, Microsoft’s $7.5 billion offer, approximately 30 times GitHub’s annual recurring revenue, seems makes more sense. By gaining GitHub’s unique insight into programmers and programming, Microsoft will be protecting its dominance in its software markets. What are some common sense remedies federal regulators could impose? Rather than block the merger, federal regulators could impose some simple conditions on the acquisition to protect the integrity of private information and prevent the possibility of Microsoft unfairly leveraging GitHub’s unique position to gain market advantage. Transparency. Microsoft should disclose any changes it makes to GitHub, its policies, and account requirements–as well as immediately and publicly posting all takedown requests and the resulting actions, if any. Microsoft should disclose any datamining of the GitHub platform and make results public. It should not sell or disclose developer information to third parties. Neutral Platform. Microsoft should continue to offer GitHub as a neutral platform for all programs and developers. There must be no preferential treatment for proprietary code or affiliated developers and no discrimination against open source code or developers. By that token, the non-discrimination should prevent using GitHub to promote Microsoft products, or to disparage competitors’. GitHub should not become the Microsoft store or marketing channel. Github users should be able to “opt in” to communications from Microsoft, rather than being required to opt out of emails and other communication. Privacy. There must be a “Chinese Firewall” ensuring that GitHub users’ private information is never shared with Microsoft—or with any of Microsoft’s verticals. Adam is a law professor at Michigan State University and directs its IP, information and Communications Law Program. His research interests focus on telecommunications, administrative law, and computational approaches to law. Adam is also a leader in gamification in legal education, designing and producing the first online criminal procedure course that relies on a video game based loosely on GTA.